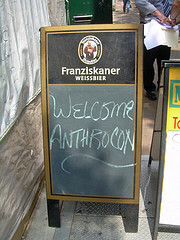 When Anthrocon started in Albany in 1997, the humble gathering went by the name of “Albany Anthrocon”. Two years later the convention found itself moving out of New York State and into Pennsylvania. Through that was learned the first major mistake a fledgling convention could make. Naming your new convention after the city it is hosted in is like someone getting their lover’s name tattooed to their arm. Ironically, it’s a mistake that other conventions still make to this day. But living through mistakes is what makes one stronger in the end. 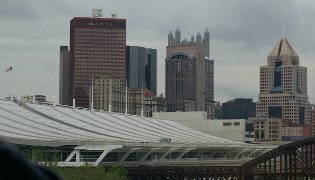 It has now been about one decade since the largest furry convention had made its home in Pittsburgh. At this point I think it’s a much safer bet to commit to being inked. As there were 6,389 recorded attendees to this convention, there are just as many stories and perspectives on the convention. So this review will focus on three sections I focused my experiences around: fursuiting, performances, and writing. It is essential to note that reviewing a convention is unlike reviewing any other medium where you can experience a full package. Many panels run concurrently so one has to make a choice, usually based upon one’s preferences. Jerry Beck on the Cartoon Research website has posted news that in April, animator Paul Terry and his Mighty Mouse were among this year’s inductees added to the New Rochelle (New York) Walk of Fame, just outside of the town’s central Public Library. The plaque emphasizes Mighty Mouse (who is a lot more famous than Paul Terry). A past honoree is Walter Lantz, the third animator of Oswald, the Lucky Rabbit and creator of Woody Woodpecker, Andy Panda, Homer Pigeon, and many other cartoon animals. Terry and Lantz have a connection to New Rochelle; Lantz was born there, and Terry’s studio was there. But this raises the point of two recent Furry Halls of Fame: the AUSFA-administered Furry Hall of Fame, for notables of Furry fandom like Steve Gallacci, Stan Sakai, Anthrocon, and Sofawolf Press; and the ALAA’s Hall of Fame, for notables that have led to Furry fandom like Bugs Bunny, Walt Disney, and the novel Watership Down. All that they get are an attractive trophy or a certificate. What if there could be a real Furry Walk of Fame somewhere? Occasional identity confusion came from the fursuits and furry names - it's a reason for badges, and nothing to be embarrassed about. This can lead to benignly playful and revealing situations. The latter happened on an airport shuttle. This year Anthrocon got pushed into Father's day weekend to make way for the NHL Draft as opposed to its traditional timing of the last Sunday of June. Now it would appear that furry is returning the favor and encroaching on the NHL. You know, I'm not afraid of anything. I am afraid of bear, but bear is in the forest. Being a city that is no stranger to animal costuming, the response of "about 70" Pittsburgh fans was to don bear costumes to taunt and perhaps take advantage of Ilya's ursaphobia. Although the tactic appeared to be having an effect at the start, the Flyers seemed to overcome their fears, and now hold a commanding 3-0 lead in the playoff series.